I was reading a fellow United Methodist pastor’s blog recently. This pastor (whom I haven’t met and isn’t in my annual conference) is currently preaching a sermon series on “reasons for doubt,” or something like that. He’s very clever, and I’m sure he’s going to close the loop and explain all the good reasons for actually having Christian faith. His blog posts in anticipation of his sermons, however, left the loop open, if you know what I mean. One blog post presented what he thought was the best reason for not believing: human suffering. To illustrate, he quoted one of his blog readers who told him about her sister’s severely retarded adult child who can’t care for herself and requires the round-the-clock assistance of “underpaid, overworked” caregivers. Why does God allow that kind of suffering? she asked. I’m tempted to ask about whose suffering—the mentally handicapped child’s or the people who are made uncomfortable by this child’s disability? Regardless, my fellow pastor agreed that that his reader asked an excellent question. He went on to say that the only thing that’s ever called for in the face of such suffering is silence. Really? Only silence? Ever? Granted, we Christians can easily end up saying dumb things in the face of suffering, but I asked him in the comments section of the blog post if he thought there was ever a time and place to offer a Christian response to human suffering. If we can’t say anything to make sense of it then let’s just throw out the entire field of Christian apologetics, because I agree with him that suffering is the best reason not to believe in God. Anyway, we went back and forth about it, and I regretted commenting in the first place. No one has ever suggested before that I’m glib about suffering or evil. I’m hardly one of those “everything happens for a reason”-kinds of people, as anyone who’s read this blog for any length of time knows. This blogger justified his position by quoting David Bentley Hart’s Doors of the Sea a lot, which I’ve also read. While I know it’s cool to be Eastern Orthodox these days—and I certainly wouldn’t want to argue with David Hart—I much prefer C.S. Lewis’s Problem of Pain. Although Lewis’s profoundly good book has been criticized for this reason, Lewis says what needs to be said: Suffering isn’t always bad. In fact, it has the potential to be very good for us. And God is happy to use it for our good. 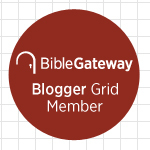 Because God’s providential hand is always in our suffering, whether God causes it or not (and, biblically speaking, who can say God never causes it? ), I’m reluctant to feel indignant about it on someone else’s behalf. Indignation is the prerogative of the sufferer (there are plenty of Psalms about this). Sometimes indignation on behalf of sufferers might be inappropriate—even in the case of the severely retarded child that the blogger discussed. Does this child not also have the image of God within her? Is her life, even in its current condition, not sacred and imbued with with meaning, purpose, and dignity? If she were capable of answering for herself (assuming she isn’t), would she not agree that her life is good in spite of her suffering? My point is, I disagree that suffering is some kind of trump card against which faith and reason have no say. 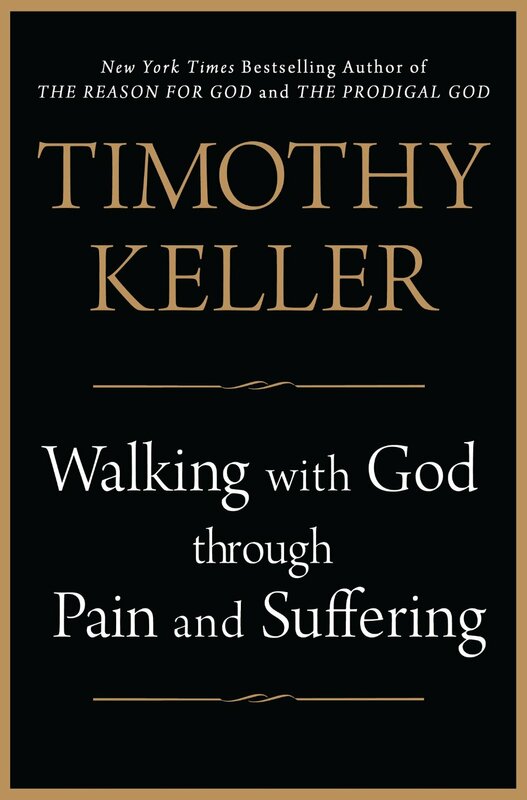 I just started reading Timothy Keller’s new book about suffering, Walking with God Through Pain and Suffering. So far in the early chapters, he gives voice to some of my concerns about my fellow pastor’s blog post. He says that in our secular age we human beings tend to believe that freedom and personal happiness give life its meaning. Since there’s nothing beyond this life, according to this worldview, suffering can only be seen as an unwelcome disruption. It can’t be a part of what gives life its meaning. He contrasts this with traditional or pre-modern cultures, in which the meaning of life is achieved “not only in spite of suffering but through it. If patiently, wisely, and heroically faced, suffering can actually accelerate the journey to our desired destination.” In these cultures, the responsibility for suffering resides mainly with the sufferer: it’s up to the sufferer to make something out of it; to learn from it; to grow from it. This isn’t unlike what psychiatrist and Auschwitz survivor Viktor Frankl argues in my second-favorite book on suffering, Man’s Search for Meaning. In Frankl’s experience, when faced with suffering, human beings always have a choice: they can choose whether the experience will provide an opportunity for spiritual growth or not. Frankl would frequently counsel with fellow inmates at Auschwitz and Dachau who felt hopeless enough to consider suicide (which was rampant in the camps): “You want to kill yourself because you no longer expect anything out of life. But life still expects something out of you“—even if, he adds, it’s only to face the gas chamber with courage. Frankl wasn’t speaking as a Christian, although he would likely agree with me that when he writes that life expects something of us in our suffering, he also means that God expects something of us. You may disagree with Frankl, but you have to admit that, as someone who witnessed and suffered some of the worst evil in human history, he arrives at his convictions while standing on the highest moral high ground possible. Keller describes a book by Andrew Solomon called Far from the Tree, about parents coping with a child born to them who isn’t like them—”but instead is deaf, a dwarf, has Down’s syndrome, is autistic, or is chronically ill or disabled in some way. Solomon presents a series of well-written and sympathetic case studies of families who have faced each of these conditions and more. These children always represent a crisis to the family into which they come, and yet Solomon’s bottom-line finding was: “This book’s conundrum is that most of the families described here have ended up grateful for experiences they would have done anything to avoid.” This, of course, fits far better with the ancient cultures’ understanding of “the sweet uses of adversity,” of suffering as not the interruption of a life story but as a crucial part of a good life. One of the most interesting things to a reader is to see how often religion slips into so many of the descriptions of how families came to terms with their children. This is true despite the fact that Solomon himself is not religious and has no such agenda. 1. Timothy Keller, Walking with God Through Pain and Suffering (New York: Dutton, 2013), 22. This entry was posted on	October 10, 2013 at 12:37 pm	and is filed under Uncategorized.